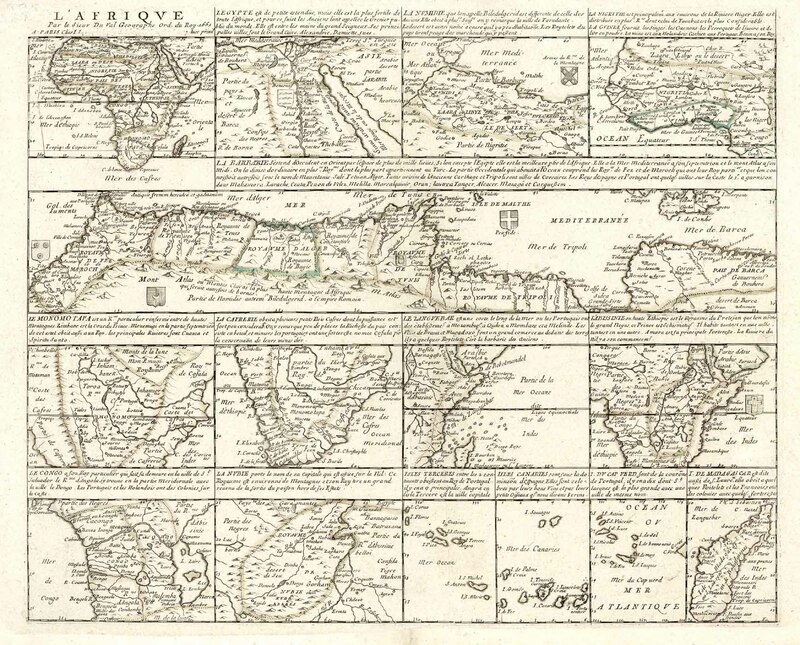 Betz, The Mapping of Africa, Nr. 85.3. 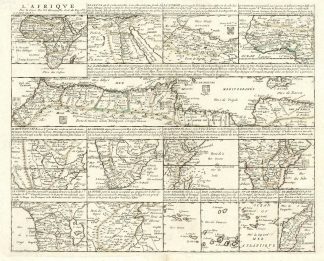 – This is an unusual map sheet by Pierre Duval depicting a map of the entire African continent and 14 regional maps of Africa. 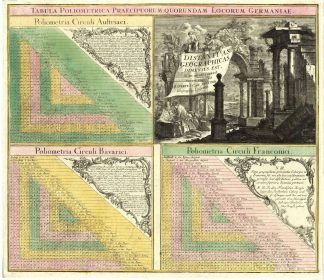 – Top left the map of Africa. – Verso no text. 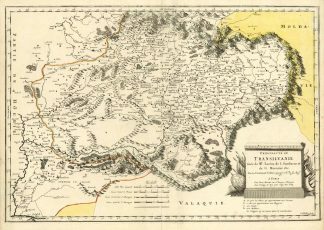 – The regional maps shows Egypt, Northwestafrica („Numidie“), Westafrica („La Nigritie“), Nordafrika („La Barbarie“), Southeastafrica („Monomotapa“), Southafrica („La Cafrerie“), Eastafrica („Le Languebar“), Abyssinia (Ethiopia), Congo, Nubiea, Terceira Island, Canary Islands, Cape Verde Islands and Madagascar. – Extremely rare! 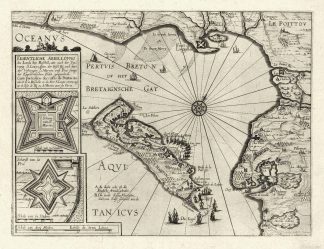 Sie sehen: AFRIKA (Africa): 3.800,00 € inkl. MwSt.